Length of rule: 21 years. Nazarbayev was elected president of the Kazakh Soviet Socialist Republic in 1990. Following the collapse of the Soviet Union and the independence of Kazakhstan in 1991, he was re-elected president in a popular vote. Nazarbayev just won another five-year term in a presidential election in April in which he received a whopping 95.5 percent of the vote. Most despotic acts: While its tempting to make a "Borat" reference here, the oil-rich Kazakhstan has been making moves in recent years to become a tourist and economic haven in Central Asia, as well as an important player on the world stage, despite Nazarbayev's record in office. In 2007, the U.S. State Department listed a host of human rights abuses reported in Kazakhstan, and only some improvements have been made since. Some of the abuses included: Severe limits on political freedoms and freedom of speech; detainee and prisoner abuse; arbitrary arrest and detention, particularly of government opponents; lack of an independent judiciary; pervasive corruption; discrimination and violence against women; and trafficking in persons. A recent New York Times story claims Navarbayev's regime has been paying Washington, D.C., think tanks to issue glowing reports on the country that largely ignore its glaring shortcomings in political freedom and human rights, and it also claimed that the Nazarbayev regime has even been alleged to have made illegal payments to as-yet-unidentified members of Congress seeking to gain their favor. 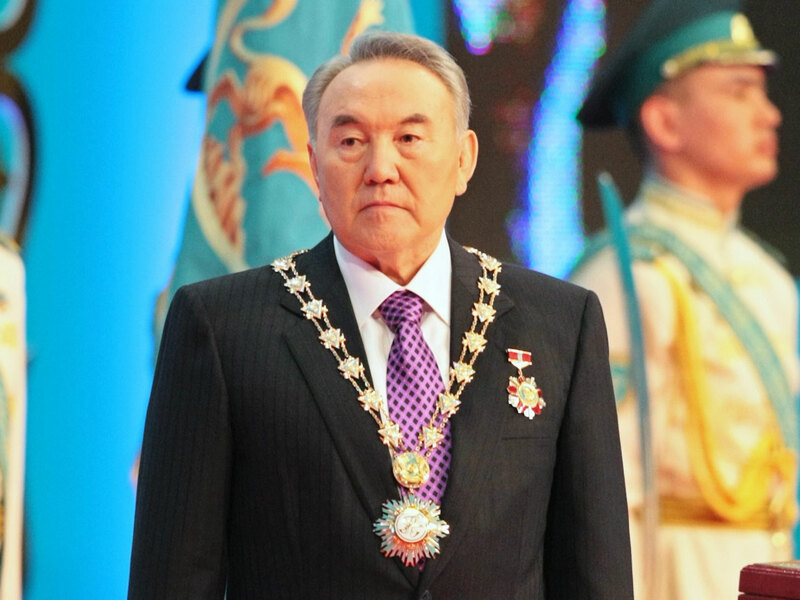 Outlook for change: Just before his election victory at the beginning of April, The New York Times wrote: "During a season of collapsing authoritarian governments, Mr. Nazarbayev stands as testament to the forces protecting the strongmen of the former Soviet states. There is no restless young elite that wants to take over the government. Per capita GDP has increased twelvefold since 1994, and post-Soviet turmoil has left behind a craving for stability." Still, a recent feud between Nazarbayev and his son-in-law, Rakhat Aliyev, is threatening the country's stability, especially after Aliyev came out in public and said his father-in-law had essentially returned the country to the dictatorial Soviet days, calling Nazarbayev "Mr. President for life." Population: 15,522,373; Kazakh (Qazaq) 53.4 percent, Russian 30 percent, Ukrainian 3.7 percent, Uzbek 2.5 percent, German 2.4 percent, Tatar 1.7 percent, Uighur 1.4 percent, other 4.9 percent; Median Age is 30. Constitution and the Rule of Law: Republic; Everyday law based on Islamic law and Roman law.